Invited recently by the newly formed Pechter Middle East Polls to ask three questions of 1,000 representative Egyptians and 1,000 urban Saudis, the Middle East Forum focused on Iran and Israel, the countries that most polarize the region. The results are illuminating. 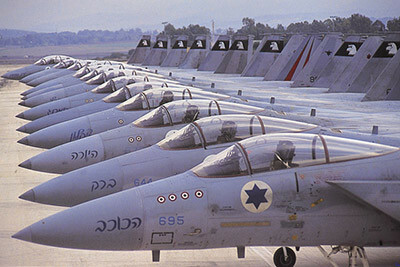 Some Egyptians and Saudis support the idea of an Israeli strike on Iranian nuclear facilities. Iran: In today's Middle Eastern cold war, the Islamic Republic of Iran heads the revolutionary bloc, while the governments of Saudi Arabia and Egypt head the opposing status-quo bloc. How anxious are the Saudi and Egyptian populations of the Iranian nuclear weapons buildup? Pechter Polls asked two questions for MEF: "Assuming the Iranian government continues its nuclear enrichment program, would you support an Israeli strike against Iranian nuclear facilities?" and "How about an American strike against the Iranian nuclear facilities?" In Egypt, 17 percent support an Israeli strike and 25 percent an American one. In Saudi Arabia, the figures, respectively, are 25 and 35 percent. Backing for an Israeli strike is surprisingly strong, for an American one, roughly as I expected. These numbers confirm a just-completed review of polling data by David Pollock of the Washington Institute for Near East Policy, who found "strikingly high levels of support—especially among Saudis—for tough action against Iran's nuclear program." These figures suggest that between a sixth and a third of the population in the two most important status-quo countries is agreeable to an Israeli or American attack on the Iranian nuclear infrastructure. Although not a negligible minority, it is small enough to give the Egyptian or Saudi government pause about being associated with a strike on Iran. In particular, giving Israeli forces permission to traverse Saudi airspace would seem to be out of the question. Israel: The Forum asked, "Islam defines the state of Egypt/Saudi Arabia; under the right circumstances, would you accept a Jewish State of Israel?" In this case, 26 percent of Egyptians and 9 percent of Saudi subjects answered in the affirmative. We posed this question to quantify the heart of the Arab-Israeli conflict, a conflict not about the size of Israel, its resources, armaments, sovereignty over holy sites, or the number of its citizens living on the West Bank. Rather, it concerns the fundamental goal of Zionism, the creation of a state defined by Jewish identity. To provide context: About 20 percent of Palestinians since the 1920s have been willing to live with Israel in a state of harmony. The Egyptian response exceeds this slightly, the Saudi one comes in substantially below it. These results are in keeping with the more overtly religious nature of political life in Saudi Arabia than in Egypt. They confirm that the main source of anti-Zionism now is no longer nationalism but Islam. Drilling down into the survey numbers shows little demographic variation (by age, education, etc.). One difference runs along gender lines, with Egyptian females accepting a Jewish state of Israel more than Egyptian males, but just the reverse in Saudi Arabic, something not readily explainable. Geographic differences in Saudi Arabia are more consequential. Residents in the western part of the country, that closest to Israel, accept it as a Jewish state much more readily than do residents of the more distant central and eastern regions. Conversely, residents in the eastern and central regions are 50 percent more likely to endorse an American strike on nearby Iran than those of the more remote western region. 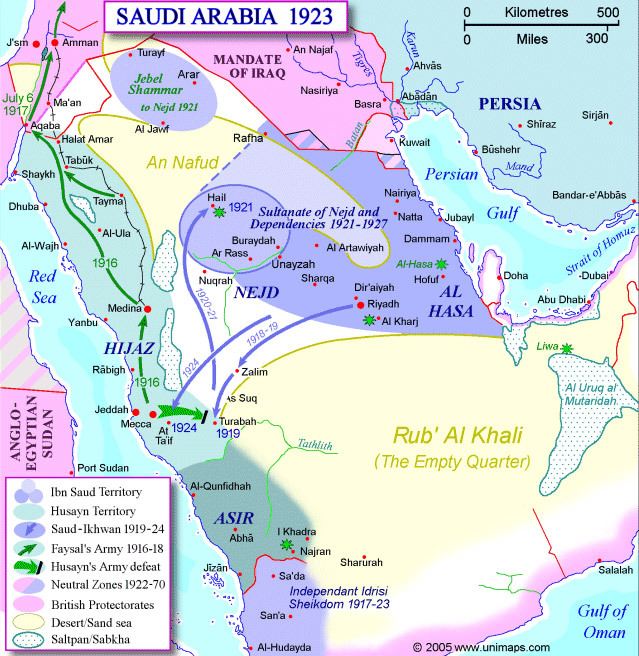 The Saudi west (Hijaz, Asir) remains true to its pedigree as the most liberal part of the country, whereas the east (Al-Ahsa) has the most Shi'ites and the most fear of Tehran. These regional variations point to the utility of seeing Saudi Arabia not as a homogenous whole but as an amalgam of regions with historically different identities, and perhaps making policy with these distinctions in mind. In sum, these polling numbers point to a small but not trivial base of constructive views in countries largely hostile to the West and Israel. If this base has few prospects of driving policy anytime soon, it offers a kernel of common sense that, if given suitable attention, can be built upon to foster long-term improvements. Dec. 26, 2009 update: A reader asked about the correlation between those who support an Israeli strike on Iran and those who accept a Jewish state of Israel. To remind, in Egypt 17 percent support an Israeli strike and 26 percent accept a Jewish state of Israel. In Saudi Arabia, the figures are, respectively, 25 and 9 percent. Of the Egyptians, 18 percent of those who accept Israel as a Jewish state also endorse an Israeli attack on Iran. Of those who accept an Israeli strike, 26 percent also accept Israel as a Jewish state. Of the Saudi subjects, 21 percent of those who accept Israel as a Jewish state also endorse an Israeli attack on Iran. Of those who accept an Israeli strike, 9 percent also accept Israel as a Jewish state. Conversely, of those Saudi subjects who oppose a Jewish state of Israel, 24 percent do support a Israeli strike on Iran. Comment: The very minor correlation between these two sets of views – and indeed a higher percentage of Saudis who oppose Israel's existence than accept it endorsing an Israeli strike on Iran – points to the near-absence of connection in the minds of those surveyed between the Iran question and the Israel question. That fits Philip Carl Salzman's observation concerning a basic pattern of Middle East political life, whereby each fight brings together a unique combination of allies. these findings clearly suggest that the United States can point to significant Saudi popular support for stiffer sanctions against Iran, and perhaps even for the threat of military action, albeit to a lesser degree. June 12, 2010 update: For updates on the topic of a strike on Iran, see my weblog entry. "A Military Strike on Iran's Nuclear Infrastructure?" Related Topics: Egypt, Public opinion polls, Saudi Arabia | Daniel Pipes receive the latest by email: subscribe to the free mef mailing list This text may be reposted or forwarded so long as it is presented as an integral whole with complete and accurate information provided about its author, date, place of publication, and original URL.